I have yet to watch one full episode of the latest season of American Idol (season 13). I have seen a few clips of interesting performances as well as this year’s judges’ comments, praises and criticisms on YouTube. 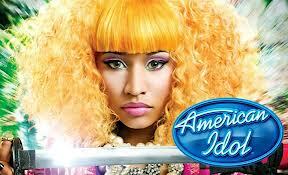 Yet with the limited number of clips I have seen, the most superb judge this year for me is Nicki Minaj. I like Nicki Minaj. She is honest. She is not afraid to say what other else’ are thinking. With the few and limited videos I have seen, I am surprised to agree with Nicki in every word that comes out of her mouth. I never thought that she knows what she was talking about. It’s pretty crazy! Too bad, Nicki was not yet a judge when Jessica placed runner-up. I wonder what Nicki has to say about this performance… Oh and by the way, I also like Neyo!